Opening its virtual doors in 2012, Uptown Aces has now been serving the online world with games for a few years. It holds a gambling licence from the jurisdiction of Curaçao and is another one to add to the Deckmedia N.V. collection. The design of the casino is very modern in itself, providing neon imagery and an easy-to-use layout. It’s a platform that only utilises the collection of games from Real Time Gaming. Therefore, it’s not as diverse in terms of the developers that it utilises as some others. However, on the whole, from a first impression point of view, Uptown Aces is an appealing platform. Real Time Gaming may be the only software provider that this casino opts to work with, but this is not necessarily a bad thing. RTG is known for having a decent collection of casino games to offer up. This includes slots, video poker, table games and a few progressive jackpot games. Further to this, the game lobby is available in both instant play mode and via a downloadable option. Therefore, it caters to all types of gamers in this respect. The first category of game that exists at Uptown Aces casino is home to slot titles. Within this category, you’ll find titles like Super 6, The Big Bopper, Basketbull, Crazy Vegas and Achilles. As mentioned before as well, the site also provides a small group of progressive jackpot games too. These include such popular games as Spirit of the Inca and Cleopatra’s Gold. Therefore, if you enjoy playing games to try and win big jackpot amounts, Uptown Aces can cater to you. On the other hand, if you’re more of a table gamer, then there are some of these available at the casino too. Be it roulette, blackjack or poker that you have a preference for, you’ll find all of these at Uptown Aces in various forms. The set of video poker games is also quite extensive, offering up games like Deuces Wild, Aces & Eights and Joker Poker to players. To add to these games, there’s a category for ‘Specialty’ titles, including Sic Bo and Keno. As a member of the Uptown Aces casino, you can also claim your fair share of special offers too. To do so, you’ll need to complete your sign up and then begin depositing. Once you do, you’ll be able to claim the welcome offer that spreads out across your first six deposits there. Simply utilize the relevant bonus codes for each one and you’ll be able to claim 250% up to $2,500 on your first deposit. This also comes with 50 freespins. Your second deposit receives a 150% bonus up to $1,500 on top and another 50 freespins. Then, you’ll be able to claim three 100% bonus amounts up to $1,000. 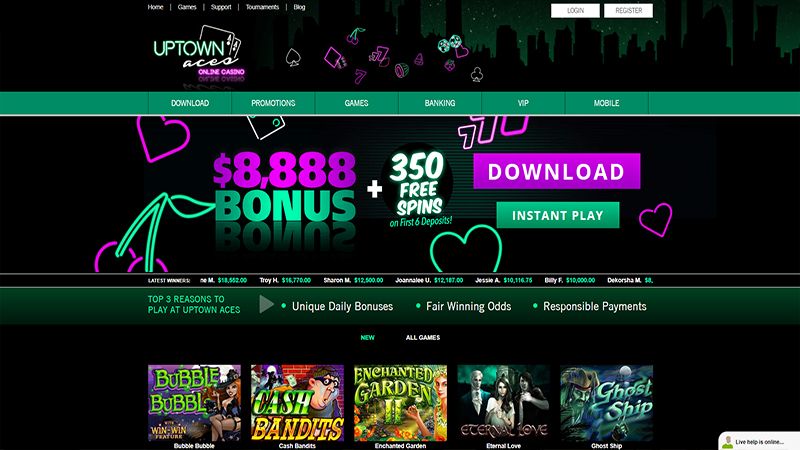 And finally, your sixth deposit at Uptown Aces comes with a 188% bonus up to $1,888 and 100 freespins. This means that there’s a total amount of $8,888 and 350 freespins available to claim. And don’t worry if you’re a regular player at the casino either, because there’s always the weekly promotions that you can claim. These come in the form of freespins and bonus offers, with different amounts being available on different days. Plus, if you’re more of a blackjack or video poker gamer, then there’s a specific promotion for you to enjoy too. What’s more, Uptown Aces also has its own VIP scheme in place. If you get to become a member of this club, you’ll get to receive various additional special offers, including faster withdrawal times and a personal account manager. When the time comes for you to add funds to your casino account, you’ll be able to do so with one of the following accepted payment methods. Three different cards are accepted in the form of Visa, American Express and MasterCard. You could also utilise an eWallet, such as Neteller or Skrill. ecoPayz is also an acceptable option, as is Bitcoin and Direct Money. If you want to seek out certain information, then you can read through the casino’s FAQ section. However, if you still can’t find the answers that you need there, Uptown Aces does have its own customer support team. A Live Chat service is in operation there, as is telephone support. Otherwise, you can send an email along to the team instead. The team are available on a 24/7 basis. Uptown Aces has a lot to offer to avid gamers. While the game lobby only utilises games from a single software developer, there’s still a lot to enjoy. Additionally, with $8,888 in bonus funds available for newcomers and ongoing promotions afterwards, the casino certainly holds a great deal of appeal. Play at Uptown Aces Casino. 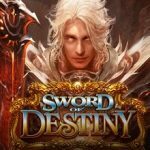 USA Players Welcome!